Get ready for the most spectacular celestial show starting this weekend-The Perseid Meteor Shower! This year, the meteor shower’s peak will be visible both the nights of Aug. 11-12 and Aug. 12-13. With a blanketing night sky as a backdrop, you can witness the streaks of luminous meteors skipping across the infinite veil. If you acclimate your eyes long enough (at least 20 mins) you may be able to see around 50 or MORE per hour depending on your location/light pollution. The key is- find a low light pollution spot, get comfy & be dedicated! What is “The Perseid Meteor Shower”? The Perseid Meteor shower is produced by comet Swift-Tuttle, which was discovered in 1862. As it orbits the Sun, this big “dirty snowball” sheds tiny grains of rock and dust. Over time, the particles spread out along the comet’s orbital path. Earth flies through this path every August, sweeping up some of the dust grains. They plunge into our atmosphere at more than 100,000 miles per hour, vaporizing as the streaks of light known as meteors. The Perseid’s are famous for producing a large number of these bright meteors. The shower peaks this year on the night of August 12 and the morning of August 13. The thin crescent moon will be no match for the bright Perseids this year so be prepared for a great show. Best viewing will be from a dark location after about 2 a.m. local time, (when the constellation Perseus is high in the sky). Meteors will radiate from the constellation Perseus, but can appear anywhere in the sky. Hey guys! I wanted to share with you a great deal going on in our shop! FREE Worldwide shipping, but it ends tonight! Procrastinate no more, and get to gifting! Don’t let the corny title fool you- this recipe is for the grown & ghoulish. It’s a classy concoction that’s sure to resurrect your spirit to a higher dimension. 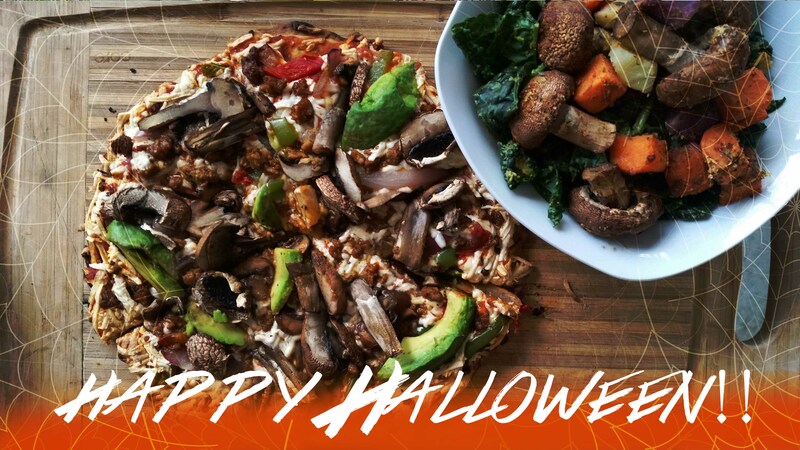 Well, it is Pizza…..Healthy Pizza…you don’t need to be a Wizard to create this magic. I can’t guarantee transcendency- but I’m pretty damn confident this combination comes close. I had a bit of an epiphany this afternoon while forging around the caldron- what better way to experience fall, then to feast your eyes and feed your tummy a visually vibrant Autumn meal. Mysterious oranges, mossy greens and earthy browns is what you need. This recipe will work great for a Haunted House party -so if you’re not already in the mood for Halloween, best get cookin’ witches! Begin by preheating your oven to 475degrees. Chop the kale and avocado and add it to a big bowl with your Siracha, salt, pepper and the juice from half a lemon. Mix with your hands! Get in there and start massaging the kale and blending the avocado until all is incorporated. Add the nutritional yeast and put the bowl aside. In another bowl, throw your baby bellas, diced colorful sweets, fresh thyme & seasonings. 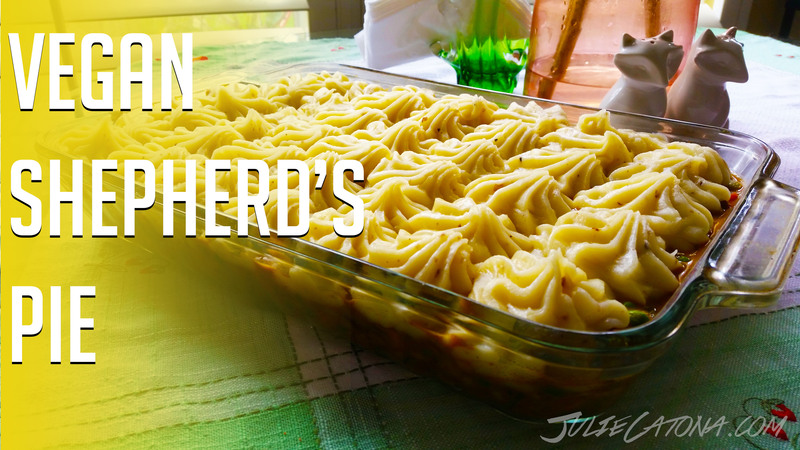 Spread all the mixings out on a baking pan and chuck it in the oven. Take the frozen pizza, and add the fixin’s- in the order you see above. Place in the oven along with the roasting veggies for a total of 25mins or until the edges are bubbling golden brown. Add an incantation for good measure. Serve the kale salad in a spooky bowl then add the warm mushroom & potato hash on top. Pizza can be sliced on rustic cutting board- add drops of balsamic glaze for an even more crimson/blood stained effect. Enjoy!! whether we’ve met within our circle, virtual or kin. My friend, there are mad-men that we must apprehend. has disarmed our senses without the slightest offense. Comfort Food. We’ve all been there- it’s that guilty pleasure, that feeling of home, that “I’ll work out 2 times tomorrow” food. They call it “Comfort” Food for a reason folks. Let’s face it- there are few sacred moments in this life that can be compared to a hott plate of momma’s cookin’. But time’s have changed and I wont even get into the zillion reasons why comfort food has gotten a bad rep. I’m here to change that! 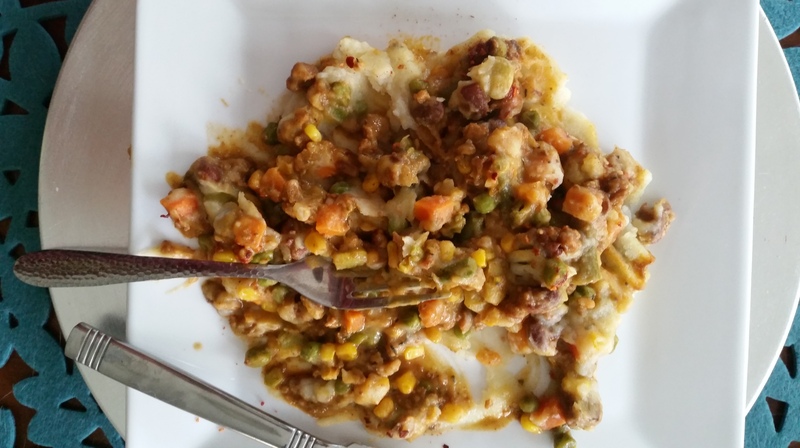 This Vegan Shepherd’s Pie recipe is so good, so comforting, so damn delicious that I’ve been hesitant in even sharing it….Seriously…..
First rule: Don’t use the waxy, red potatoes for your mash. They just won’t break down enough nor do they absorb the liquid very well. Stick with Russets and Yukon Golds. Of the two, the Russet will give you the creamiest mash, but many people prefer the flavor and golden color of Yukon Golds. While the potatoes are cooking, prepare your filling ingredients and preheat the oven to 400°F. Heat the coconut oil in a large pan over medium heat. Add the onions with a pinch of salt, and cook for 3-4 minutes, until they become glazed and clear. Pour the filling mixture into an 11×7 glass baking dish. I love to pipe out my mashed taters in little swirls OR you can use a rubber spatula, dolloping the potatoes over the top of the filling. Carefully spread the potatoes out over the filling, making sure to form a seal all around the edge of the baking dish to prevent the filling from bubbling over. Bake on the middle oven rack for 25 minutes, until the potatoes begin to turn golden brown. Let the pie cool for about 10-15 minutes before serving. 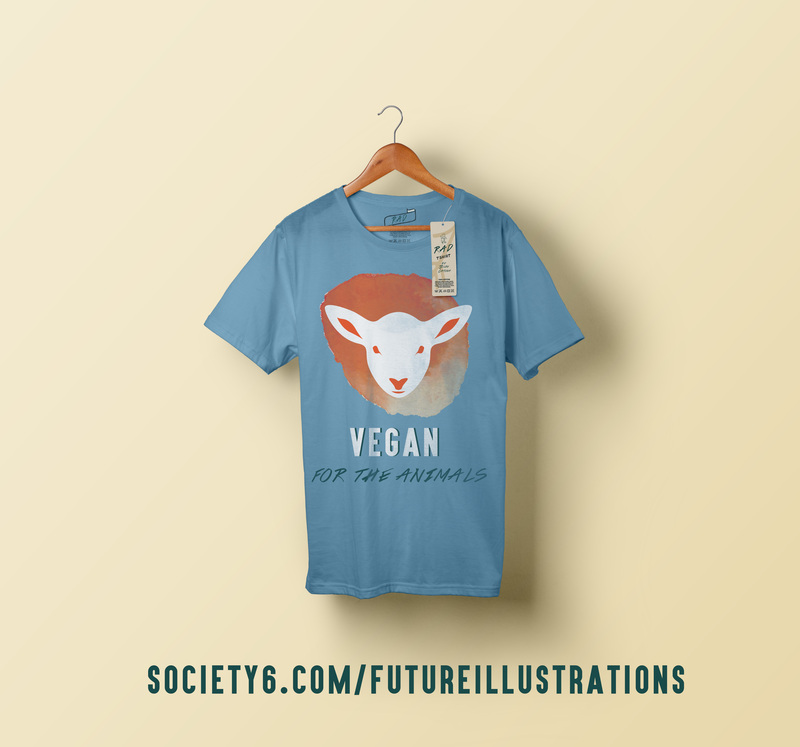 Hey guys, I wanted to share with you some new designs that are up in my shop! All T-Shirts are printed on American Apparel Fine Jersey T-shirts that are made with 100% fine jersey cotton combed for softness and comfort. Also there’s tons of other goodies- pillows, shower curtains, totes & prints available! There are so many trends going on in the health world right now, and Acai bowls are becoming more popular than ever before. Basically every smoothie/juice joint has at least a few acai bowls on the menu, and rightfully so. The acai berries’ flavor is one of a dark-berry-chocolaty-goodness that packs an array of health benefits. 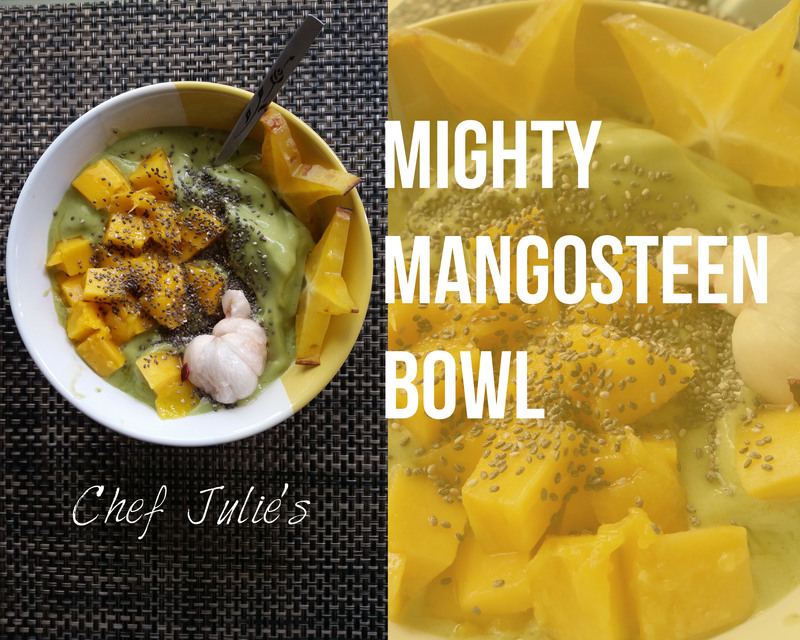 But today, I want to share with you my favorite super food that has yet reached “Acai Bowl” status- the Mangosteen. Mangosteen is often referred to as the “Queen” of tropical fruits, particularly in the South-East Asian regions. And if you’ve ever had a fresh mangosteen, you’ll know just why it’s called the QUEEN. 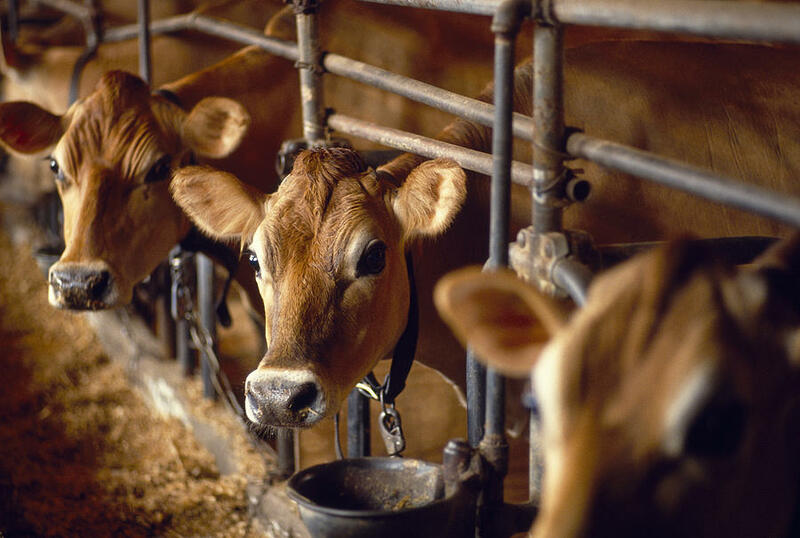 Over 56 billion farmed animals are killed every year by humans. More than 3,000 animals die every second in slaughterhouses around the world. 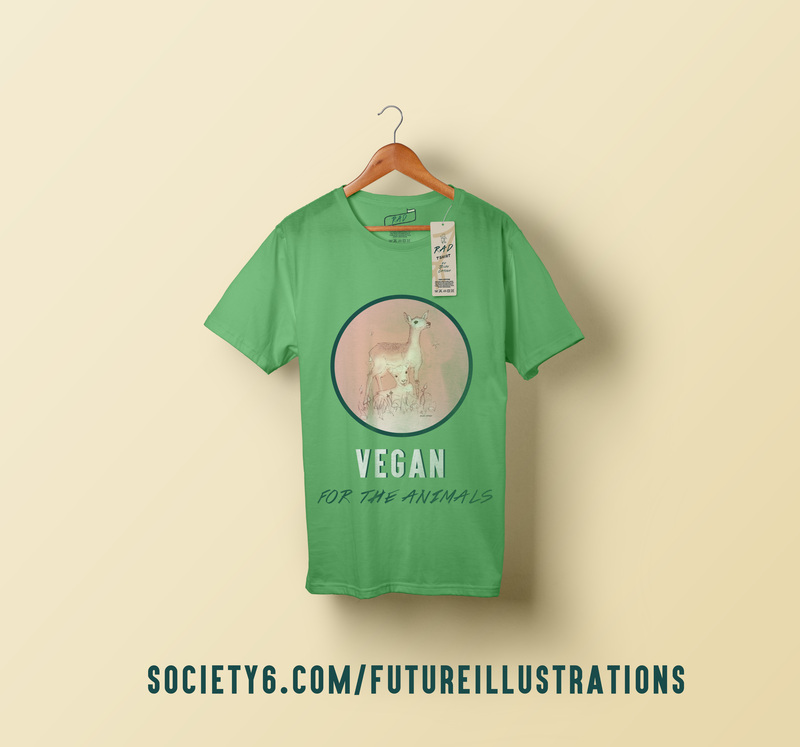 Rising awareness of vegetarianism & veganism , veg-friendly marketing campaigns, delicious meat and dairy replacements and the acclivitous rise in awareness that cutting back on animal products can directly improve health, have all contributed to the decline of meat consumption. From birth, most of us humans are promoted into a lifestyle- pruned and nurtured – molded and formed, in a modus vivendi that we ultimately (and unknowingly) carry into our adult lives. It might seem self-evident and rather egregious, that we are socially conditioned. Yes, you and me, we are individuals- but we are social beings- conditioned ones! We are conditioned by our teachers, relatives, peers, religion, and of course, by technology and media. We grow up first loving all animals, a requited agape love. But slowly, the curtains close- and new doctrine takes center stage. The precept now dictates that animals are in fact divided, that most (predestined) animals are simply a “food” source, without intelligence, feelings, emotions, and certainly without a soul. Social conditioning – as it applies to an individual is a concept that goes beyond just our biological characteristics- it is our social nature. It’s our participation with the world and other humans. And how we participate and function, well, that all stems from how we are socially conditioned.